I was getting slightly bored and was looking for something to do. Then this idea came to me. I don’t mean to complain, but I’ve been answering a lot of similar questions time after time, and I’m actually a pretty lazy person who doesn’t like to repeat herself. So from now on, please leave all your questions (related to SeungGi, of course) on this page. If it could be of interest to other Airens, I’ll post the answer under ‘FAQ’. Q1: Where can I watch/download English subbed 1N2D episodes? A: You can find the episode list with streaming/download links on 1n2dfansubs. Q2: Where can I watch/download English subbed Strong Heart episodes? A: You can try Strong Heart Forum or viikii. Q3: Why is SeungGi called HeoDang? A: (courtesy of K4Ice4Thu) ‘Heodang’ is loosely translated as ‘empty-headed’. Seung Gi, though very very smart, tends to say things randomly w/o thinking that are: funny, don’t make much sense, or ask questions with very obvious answers lolols. Kim C gave the nickname to Seung Gi way back when on 1n2D. A: You can send it to Hook Entertainment. Q6: How can I contact Hook Entertainment? Q7: How can I register on leeseunggi.com? A: Please refer to the registration guide for detailed instructions. A regular membership allows you access to everything on the official homepage except Airen Zone. Q8: How can I become an official Airen? A: The official fan club is only open for new membership, which requires a fee, at the beginning of each year. Only the official members can access Airen Zone. Oooh! Nice feature Tryp! Another reason to stalk your blog each day. I do have a question I’ve been meaning to ask. Is Seung-gi’s sister really named Seo-hyun? I read it in a blog somewhere but I can’t find it now. I’ll try to look for it if time permits, but yeah, that’s my question. Just want to know if it’s true. Tishi, I re-watched the episode again (it was the Chuseok 2008 Baekdusan special episode) – I I think your right. I don’t know how to write her name, but it’s either Seo Hyun or ?Soo Yeon? Could someone kindly explain what did Seung gi say throughout the 19 seconds clip? Million thanks! 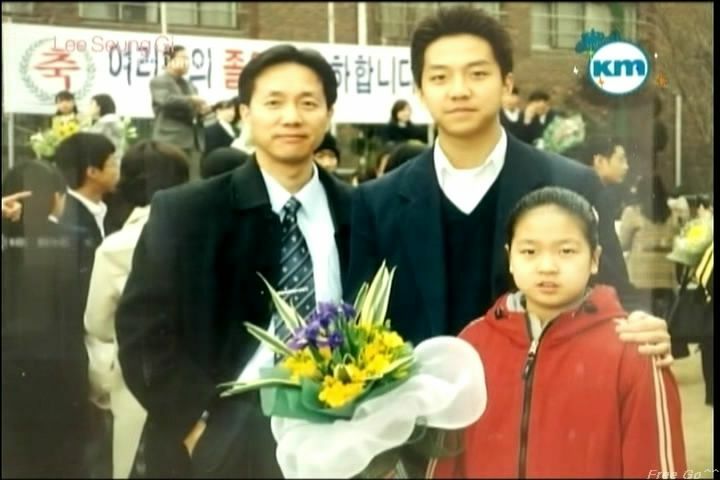 Wow, I always wonder if Seunggi have siblings, so his family is consist of father, mother, himself and a younger sister? Or is there another sibling? I always wanna ask, hehehe. 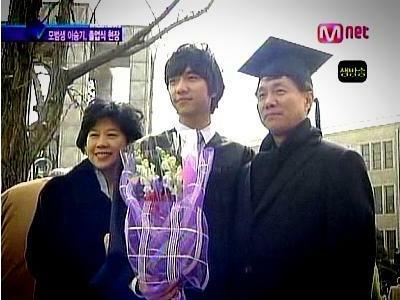 SeungGi only has one sibling, his younger sister. oooh thanks for the youtube link deyani. what was the call about though cos i dont understand korean.. did he say sth silly judging by the music played at the end? haha. thanks deyany for the vid..
i think her name is Seo eun / Soo Eun / Soo Heun (서은 / 소은 / 소흔 ) maybe..
Do you have this video with english sub? Or any written eng subs for this? Thank you! Not sure if this is the correct place to ask, pls delete if inappropriate. Did this forum still still active nowadays? Or are there any other reason? I used to be a translator for that forum, but I hadn’t been there in a long time. I just logged in and checked. The forum is still open, you do need to register first. However, it doesn’t seem to be very active right now, most likely because they’re short-staffed. But the forum should still be somewhat useful for those who are looking for the old episodes. Yeah, I got open and register in that forum, but the episode is not complete.. I want to find the SH episode 43 and 44 with English subs but unable to find it anywhere.. hehehe maybe u know where to get it? ^^ thanks in advance..
That’s where I watch previous episodes too.. 🙂 very helpful indeed..
You can also find all 1n2d episodes on soompi – (http://www.soompi.com/forums/topic/133250-variety-happy-sunday-1-night-2-days-1%EB%B0%95-2%EC%9D%BC/page__st__8760) – page 439. I think we have to register first in order to access Soompi 1n2d forum. Hello Tryp. I’ve been meaning to ask this. Am I considered to be an official Airen if I have completed my registration at SeungGi’s official website? No. There is an additional registration process for the fanclub, and you have to submit a membership fee. I wonder if you or any other Airen could help me with two Seung Gi the Singer related questions that I haven’t been able to figure out without Korean resources. In that 7th Debut Anniversary fan video compiling some of his variety singing, what is the title of the fourth song? Second, are there any English songs other than the ones listed below that he has sung before? As for the second question, the only song I can think of right now is Livin’ La Vida Loca. Thanks anyway! I’m not really interested in Kpop (ie idols), but the Korean songs Seung-gi has covered during his variety appearances and remakes are interesting just because he’s sung them. Also, I like some of the older Korean singers featured as background music during 1N2D. 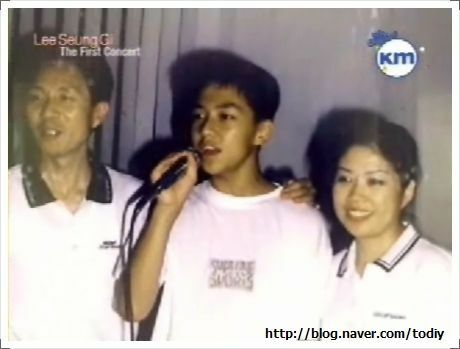 Oh, and SeungGi also sang ‘Shape of My Heart’ at his first concert. Are you asking what this means in English? It’s literally “Spring Days” I think. “bom” is spring and “nal” is day. Although did Seung-gi sing for that OST? I think s/he was answering the question left earlier about the songs SeungGi sang in variety shows. Seung Gi covered “Everything I Do”!! I know this is an old comment…but can someone give me a link to LSG’s rendition of this song?! Please? whoa. I just knew that seunggi oppa have ever sung everything i do and can’t help falling in love. do you have the mp3 file to download, tryp unnie? Sorry, I don’t have those mp3 files. ah, okay then ^^ . eh, but no videos too? anyway, in what occasion did he sing those two songs? Hi Tryp, thanks so much for your hardworking to update everything about Seunggi everyday, you’re truly a very very very genuine Airen !!! Can I ask you a question? Do you know all Seunggi’s songs? I remember in your post about Seunggi and Peongchang, it said that Seunggi had sung 177 songs (don’t know it’s true or not) but I’ve just listened, maybe, a half of them. I don’t know Korean, so I can’t find the rest. If you know, can you share them for Airens who are new or who doesn’t know like me? We will appreciate so much. Why don’t you make a conner about all Seunggi’s songs like this Q&A conner? (It’s just a suggestion, you don’t need to do if you don’t want). Sorry to bother you but I don’t know where else to ask this. Do u know if Seung Gi will be holding his concert in Seoul this year? I have blocked my leave but I hope he’ll announce the exact dates soon. More importantly, do you know how can I purchase the tickets? Seeing the tickets to his fanmeets get sold out in minutes makes me worried that I will not be able to get them fast enough since I don’t know Korean. There WILL be a concert in Seoul this year. The tickets are usually sold on interpark for the general public. I’ll post the info once it’s available. hi tryp can i ask? , i’m just curios .. what is your nationality? , where u from? Hi Tryp… may i ask, i think i missed the episode of 1N2D when Seung Gi and Lee Suguen left behind this is when Seunggi carry fin for swim.. any idea what episode? Ms Tryp, may i ask if you are planning to make a post on your experience at the Airen Summer Camp? or have missed it already? sorry to ask..i have not been able to access the net for a few weeks and am just wondering if it was already posted..thanx in advance..
oh..i hope you’ll get the sudden inspiration to write it already..i’m pretty sure soooo many international fans of seung gi and avid followers of your blog would love to read about your adventures in the camp already.. reading it would be the next best thing to being actually be there..please..for those other fans who are also waiting for the Airen camp post please leave your encouraging words for Ms. Tryp..
I’m a bit curious about Teacher Sunhee. Is she married and does she have kids? If she does, I hope they get her singing skills! Hi Tryp, I am very new here. I been wanting to buy Gumiho’s DVD with directors cuts, interviews etc. The only place i know is from YesAsia which is Eng subs. Is it only the Jap version has got all the goodies? the ones at YesAsia is it good. I am ok if it with Eng or Chinese subs, can you recommend me any place to buy DVD. Just want to add that the Japanese MGIG DVD has English subtitles in the drama part; the bonus materials such as behind the scene stuff and interviews do not have any subtitles. LSGfan at lsgfan.wordpress.com has done a great fan service by providing English subbed clip of SG’s interview (China Cafe has a Chinese translated version based on LSGfan’s). English subbed SMA’s interview might be coming too. I will be coming in here daily, cos I also go into Baidu, but my Chinese is not strong, so a bit difficult for me. Since AnnMichelle say the Jap version has eng subs, i will consider it (though will hv to go search for it,hehe). Now my wish is that the Jap version of concert DVD has got eng subs too. i praying for this! I think AnnMichelle was also talking about the director’s cut version when she said the DVD had English subs. As far as I know, the Japanese version does NOT have English subs. hello 🙂 is Strong Heart really going to end soon? i’ve just read an article at dramabeans. When is it going to end? I don’t think there’s any plan of ending Strong Heart anytime soon (even though some fans are hoping that SeungGi would quit the show to focus on other things). I checked dramabeans, but couldn’t find the article you mentioned. Could you post the link here? Did you by any chance miss the news that 1N2D would be ending in February of next year? So that’s what they were talking about on dramabeans. Strong Heart, though, has no plan of ending the show yet. Sorry, what I said earlier about MGIG DVD, it’s the director’s cut version. Noted abt the Eng subs in Director’s cut. Thanks. You can try mysoju.com, but they don’t have all the episodes. i want to ask about Lee Seung Gi religion. . So far I’ve been searching for to complete his profile in my collections. .but no one mention it. . I don’t think SeungGi has a religion. Hey, Tryp! Does Seung-gi have a photobook? I mean apart from the Hope DVD Japan edition freebie. I scoured some online shops and come up none, so I thought you’d know if he does. Also, Seung-gi once guested in Knee-drop guru right? Or a surprise guest when Teacher Sun-hee guested there? I don’t think SeungGi has ever released a photobook before, apart from the fan meeting merchandises. And yes, he did appear on Knee-Drop Guru once as a surprise guest for Teacher SunHee. Can I ask you when will LSG hope concert DVD release in korea? Or i have already release in korea. I actually from singapore does LSG have a fanclub in SG? Where can I buy photos of Lee Seung Gi in Singapore? I think I posted this question recently but I am not sure if it went through….pardon me for asking this again…I tried to join leeseunggi.com but I don’t have a phone number in Korea. There is an error message written in Korean which I can’t understand. Do we have to have a phone number in Korea to join membership at Seung Gi’s official website? Thanks so much! I would like to ask you about Kang Shim Jang “Strong Heart” and 1 night 2 days related to Lee Seung Gi prince’s schedule. On what day he does shooting for Kang Shim Jang? And on what day he does shootng for 1 night 2 days? I am about to go to Seoul on next year, and I really really want to see him in person. I will be going with my friends and they also want to see another Korean Celebs (yeah we are Korean addicted). Is there are any possibility for foreigner to join Kang Shim Jang show? Are there any tickets we need so that we can join the show? Can I see him on SBS office or KBS office or Hook Entertainment office? Really ned your info. You can check out the “LSG Schedule” page for the dates of Strong Heart and 1N2D recordings. I don’t know how you can get into the Strong Heart recordings; you probably need some kind of connection to score tickets. But I know some international fans just wait outside of the studio hoping to get in. And I don’t think you can just go to SBS, KBS or Hook’s offices to see him. Hi, It’s my first question.We know clearly Lee seung gi’s song is good. And he is also popular. But why don’t he join Mnet music award in Singapore? I’m waiting for Lee seung gi. It’s so hopeless when I can’t see his name on the list. I so wonder why? Well, this is a question only Hook can answer. But my guess is that SeungGi is simply too busy. I don’t know if there are any shops in Malaysia that sell SeungGi’s albums, but you can buy them online, from sites like YesAsia. To register at leeseunggi.com, you can either scan your ID or take a picture of it, and send it by email. thank you ! Really aprreciate it ! If we were to sent letter to the address given for Seung Gi , will he be able to read or at least receive it. This addres is it belong to Hook entertainment. Just Need to be sure…. Hook opened the mail box for Airens, so I’m pretty sure that SeungGi would receive the mails there. I’m an Airen also from Philippines. XCan I ask where can I watch this scene from this video http://www.youtube.com/watch?v=5NaXypU4Kh0&feature=related from 2:14-2:39? Please answer. Gomawoyo! Saranghae SeungGi Oppa! Hwaiting! hello tryp, this is my first question ..
until now, how many total sales of his 5th album “TONIGHT” ? I don’t know the exact number (each source seems to quote a different figure), but it’s easily over 50,000 copies. Was it a new clip? What was the interview about? SeungGi has been on Star Date several times, and those videos have been posted before. If it’s a new one though, sorry, I haven’t seen anything online. And I don’t even have a computer to record KBSWorld programs right now. Thanks Tryp about all things for you do. Please we’re always love Seunggi ^_^. Seunggi is the best? Sorry I didnt know where to post this comment so I just post it here. hi,Tryp! !I I want to register leeseunggi.com as a member,but they call me to put ID should i put real or not real??? When they ask for ‘Name’ and ’email address’, you need to give them your real ones. But for ‘ID’ and ‘nickname’, it’s just a screen name you want to use. thanks Tryp,now i can register,but if i want to join Lee Seung Gi’s offical fanclub….want to pay money?? ?i see a word “payment” so i scared thet want to pay?? You do have to pay to join the official fanclub, but it’s not open to new membership right now. You have to wait until the beginning of next year. i would like to see him in that cap. ADORABLE! sorry, 36- 37 or 37-38..? turns out those are ep 36 – 38 kekkeke..
May I know where I can purchase the concert tickets to Lee Seung Gi’s 2012 Concert in Japan on 1 Jun 12? If you are registered at leeseunggi.com, you can buy the tickets there right now. can I ask you one thing?? How can I register to leeseunggi.com as an official member ?? they always said my e-mail is invalid.. help me please.. Sorry, I didn’t run into that problem, so I’m not sure how to help you troubleshoot. Did you use your real name and email address? tryp Iv’e been dying to asked you this a long time ago but im too hesitant to ask … im curious to know in what outdoor event this was? I remember your the one who got the right answer from Bee’s trivia during our Soompi days. i guess you can help me with this.. if you have any links for this event hope you can share.. im dying to see this old clip if u had.. thanks.. Sorry, I lost all my files on my desktop last year when it crashed. So I don’t have anything to share. But based on the picture background, I think it was a public event sponsored by Mr. Pizza back in 2008. Hi tryp,is it true that fans are restricted to watch/see Seung Gi in manchester for his torch relay? Unfortunately, that might be true. hei do u know the title of song at official web lee seung gi? That’s the Japanese version of Time for Love.